The fact that we live in a global society is not new to anyone these days. Yet how we prepare students to thrive in a world that rapidly is changing is the task before us. Fifty percent of students currently in high school will work for an international company or organization at least once in their lifetime. Their colleagues and fellow workers will speak a variety of languages, communicate in diverse ways, and maintain a multitude of perspectives. 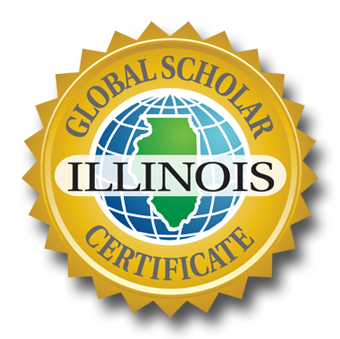 The Global Scholar Certificate recognizes students who have demonstrated global awareness and high-level global competencies. Throughout the GSC process, global competence challenges students to investigate the world, consider a variety of perspectives of significantly different cultures and places around the world, communicate ideas to multiple audiences, and take meaningful action on an issue of global/local impact. A globally-focused curriculum engages students in their own learning and motivates them to strive for knowledge and understanding. And a curious, inspired student strives to learn more in school and beyond. Why is this so critical now? While the world may be getting smaller due to access to modern technology, it is proven to be more complex than ever. A new generation of students requires different skills from the generations that came before. The world is changing fast. Boundaries—literal as well as figurative— are shifting and even disappearing altogether. The culture that once lived halfway around the world now lives just down the block. The ability to thrive in this new and rapidly changing environment is grounded in a globally-focused curriculum. More than ever before, individual actions reach around the globe. Environmental concerns, economic shifts, global poverty, population growth, human rights, and political conflict can seem intractable and overwhelming, yet they absolutely require thoughtful action. In a globally-focused curriculum, students learn that the world needs them to act, and that they can make a difference. Global competence integrates knowledge of the world and the skill of application with the disposition to think and behave productively. Global competence is not restricted to knowing about other cultures and other perspectives. In addition to knowledge of the world, a globally-competent citizen exhibits habits like critical thinking, rational optimism, innovation, empathy, and awareness of the influences of culture on individual behavior and world events. Success in career and life will depend on global competence, because career and life will play out on the global stage. Already, government, business, and cultural institutions are called to solve the world’s problems cooperatively. Engaging in these challenges requires high-order knowledge and thinking skill, as well as shared language and cultural understanding. In a globally- focused curriculum, students prepare to approach problems from multiple perspectives and to thrive in a global future. (Asia Society).. The Global Scholar Certificate is a toolkit to demonstrate how a productive, involved young citizenry meets the problems and opportunities of today’s world. The student completes eight globally-focused courses. The courses must be designated as globally-focused by the district/school’s Global Scholar Committee. 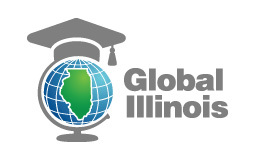 The student will participate in at least one sustained globally-focused service learning activity or experience as selected and designed by the student and educator in collaboration with the Global Scholar Committee. The student will participate in global collaboration and dialogue experiences through a field experience in another country, approved virtual experiences, or sustained service or learning experiences selected and approved by the student, educator, and the GSC committee. The student will design and implement an actionable Global Scholar Capstone Project that is research-based and proposes a solution to address a compelling global issue. The student will earn a score of “pass” on the Global Scholar Capstone Performance-based Assessment.